Maje Redwan Glen Plaid Convertible Dress $445 Free US shipping AND returns! Reformation Cole Dress $248 Free US shipping AND returns! 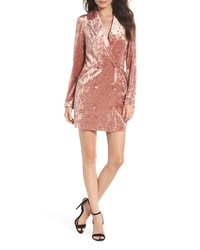 Ali & Jay Hello Romeo Velvet Coat Minidress $168 Free US shipping AND returns! Hugo Akasa Blazer Dress $545 Free US shipping AND returns! 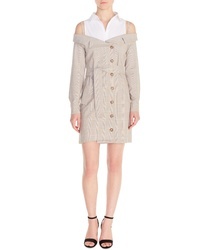 Judith & Charles Blazer Dress $595 Free US shipping AND returns! Adam Lippes Stretch Crepe Tuxedo Dress $1,650 Free US shipping AND returns! ASTR the Label Demi Dress $120 Free US shipping AND returns! Bardot Kaya Button Fit Flare Dress $119 Free US shipping AND returns! Topshop Double Breasted Blazer Minidress $75 Free US shipping AND returns!